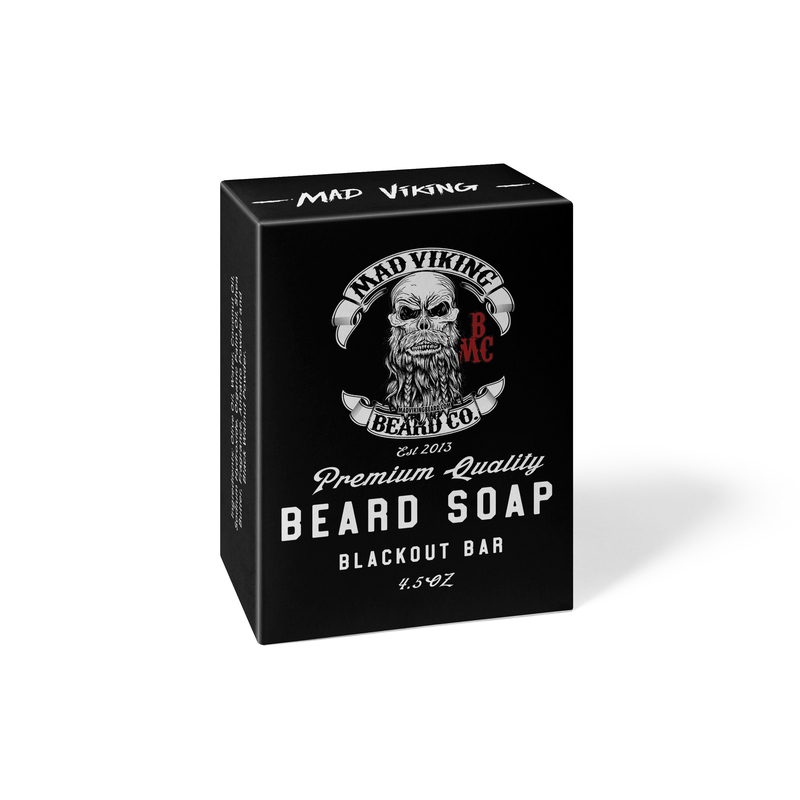 Mad Viking Blackout Bar Soap - Mad Viking Beard Co. The Blackout Bar is good for oily/acne prone skin. Made with a nourishing blend of oils combined with activated charcoal and scented with peppermint & tea tree essential oils. Great all over body and facial bar. Great for clearing acne and helping to ease symptoms of eczema & psoriasis. This is just not another average bar of soap! We designed our soap to gently cleanse, exfoliate, moisturize, and condition the skin and hair while using the best all natural ingredients. Therefore, giving you healthy skin and an epic beard that Odin himself would be proud of! Mad Viking Blackout Bar Soap goes great with our Mjolnir or Blodorn beard oils and balms! Activated charcoal has high absorptive powers, which means that it draws other elements into itself. Charcoal is activated through heat and exposure to steam and certain chemicals. This process causes the carbon to form enlarged “pores,” which are fissures and pockets in its surface. When it is exposed to contaminants, they literally become trapped in the carbon’s pores. Charcoal also has antibacterial properties that can help heal wounds.